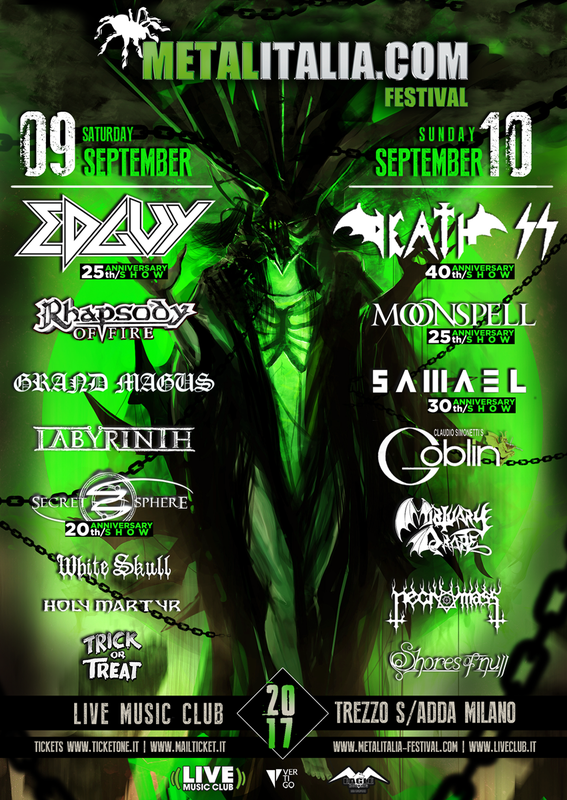 ← PHOBOS PREACHER – death metal dalla Spagna!! 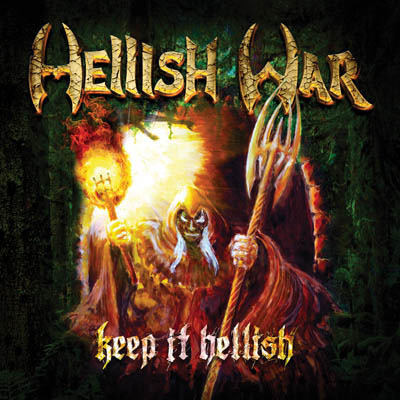 The release date of the new HELLISH WAR album “Keep It Hellish” is June 28, 2013. The preorder phase will start on June 14, 2013 in our webshop. HELLISH WAR from Brasil is a thoroughbred, hard-line true-metal-band, which has a power and intensity that newcomers can only dream of. “Keep It Hellish” is the first studio-album to be released for 5 years, and the first new full-length-album, after the compilation “Defender of Metal?/Heroes of Tomorrow” (2009), which will be released by Pure Steel Records. The distinctive opener and title-track shows that the quintet has lost nothing of its old glory: lead-guitars, which will delight every RUNNING WILD-fan, a speedy, impressive and really grand double-bass-drumming, and terrific power-vocals by new band-member Bil Martins will show you the way which the rest of the songs will take up. Though they have a playing-time of more than five minutes, none of the songs gets boring, quite the contrary: they are fascinating and have also very interesting solo-parts. The choruses are very catchy, so you will be able to sing along very soon, the leads and riffs will stay in your memory for a long time afterwards. Special tips for listening: the title-track mentioned before, the anthem-like “Master of Wreckage” and “Phantom Ship”, the very strong instrumental “Battle at Sea”, and “Reflects on the Blade”. For all people who love traditional true metal, HELLISH WAR will be something to look forward to. This sound is highly addictive!